Heartwell Sen. John Kuehn, chairperson of the Performance Audit Committee, said LB751 would remove a current burdensome reporting requirement and lessen confusion. Agencies currently are required to report some information to the Legislative Performance Audit Office and some to the Executive Board and standing committees, he said. 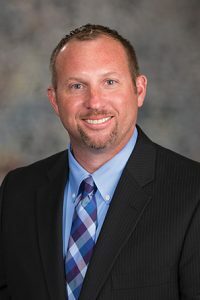 “LB751 would simplify and streamline the reporting process, while preserving the accountability that the Legislature was looking for,” Kuehn said. Introduced by the Legislative Performance Audit Committee, the bill would require that only reports of regulations mandated by law—rather than all regulations—be reported to the Legislative Performance Audit Committee. Agencies would be required to report to the committee as to why regulations have not been timely promulgated. “Those are the regulations of greatest concern to the Legislature when the reporting requirements were adopted and it makes sense to focus our efforts on them,” Kuehn said. The bill also would remove a requirement that the Executive Board or the appropriate standing committee receive annual reports regarding mandatory regulations that have not been promulgated within the time frame required by law. Instead, the bill would require agencies to include that information in the reports that they already provide to the Legislative Performance Audit Office. The Executive Board or a standing committee also could request the information. LB751 advanced to select file on a 32-0 vote.